Combined frame size 45.8 x 120.6cm. 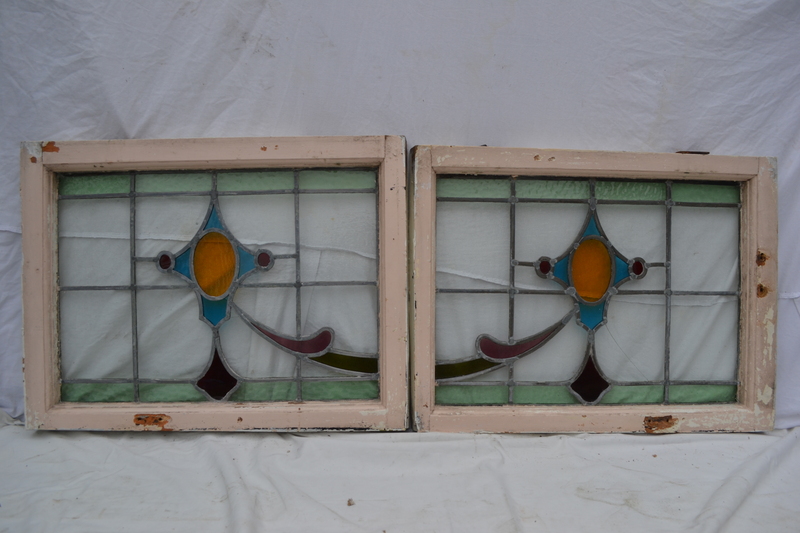 Condition: in one panel three pieces are cracked and it is slightly bowed, in the other two pieces are cracked. All glass intact. See final photos.